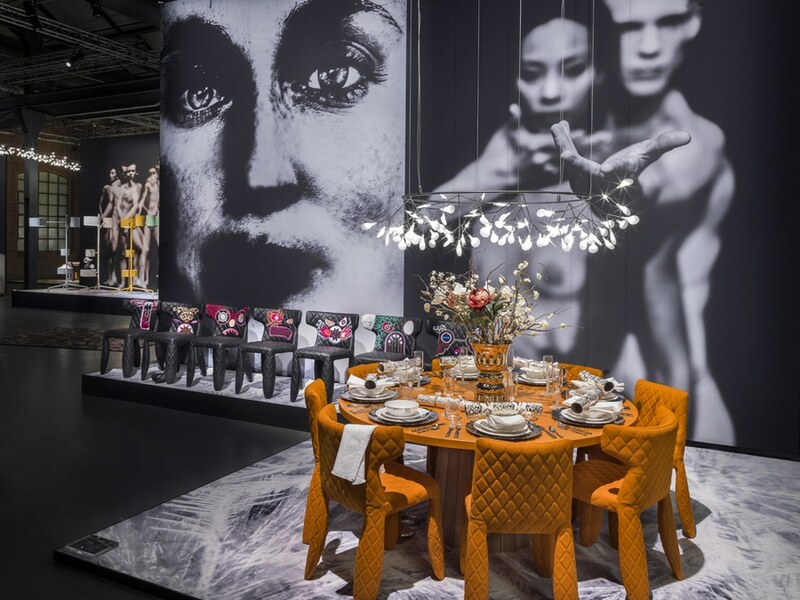 Extra Moooi: take a closer look at the huge portraits that provide the backdrop for new furniture, homeware and carpets by Dutch brand Moooi with this digital version of its Unexpected Welcome exhibition in Milan. The Unexpected Welcome showroom by the Dutch brand – founded by Marcel Wanders and Casper Vissers – is located within a vast warehouse in the city's Tortona district. The products are displayed on long, raised stands. Some are styled into arrangements to show how they might be used in interiors, while others are displayed more creatively. "We like to show the products we do in a kind of setting," Wanders told Dezeen. "Half of the settings are environments you can imagine to be in the home and the other half of the settings are more artistic. It's kind of two exhibitions simultaneously and for us it's a nice way to show our works. ""We like to show the products we do in a kind of setting," Wanders told Dezeen. Photographs by Rahi Rezvani have been blown up into a giant format to serve as both space dividers and backgrounds for the collection. 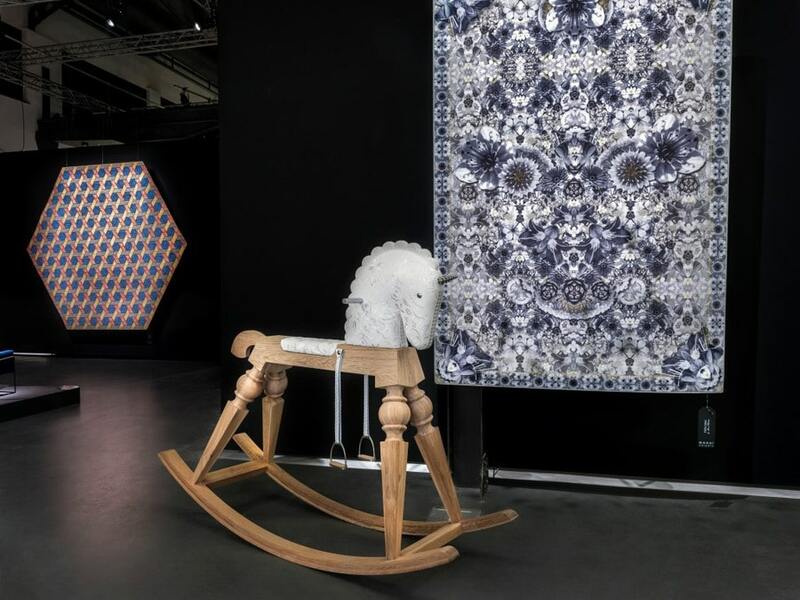 The other side of each divider displays one of the carpets from Moooi's new range. This is the third year that Moooi has used photography at this scale for its Milan presentation. Two years ago it featured images taken by Erwin Olaf, and last year's showcase included architectural and interior photographs by Massimo Listri. entrance to the exhibition space. 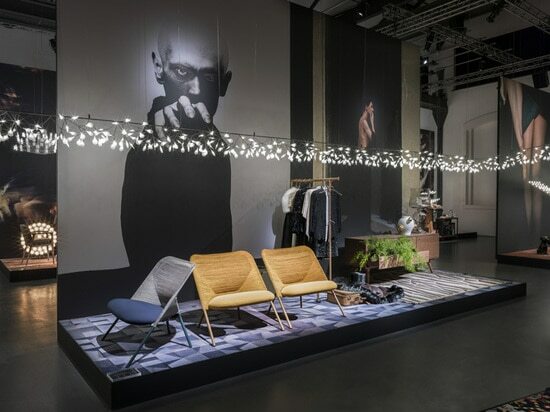 Other designs include lighting by Studio Job, Atelier Van Lieshout and seating by Jonas Forsman. The brand's inaugural collection of photo-realistic carpets, which are designed by Studio Job, Ross Lovegrove, Neri&Hu and more, are also laid beneath the furniture pieces and suspended from the ceiling. "I think what Moooi has been doing from the beginning is to create a buzz, trying to be interesting, trying to be worthwhile looking at," said Wanders. 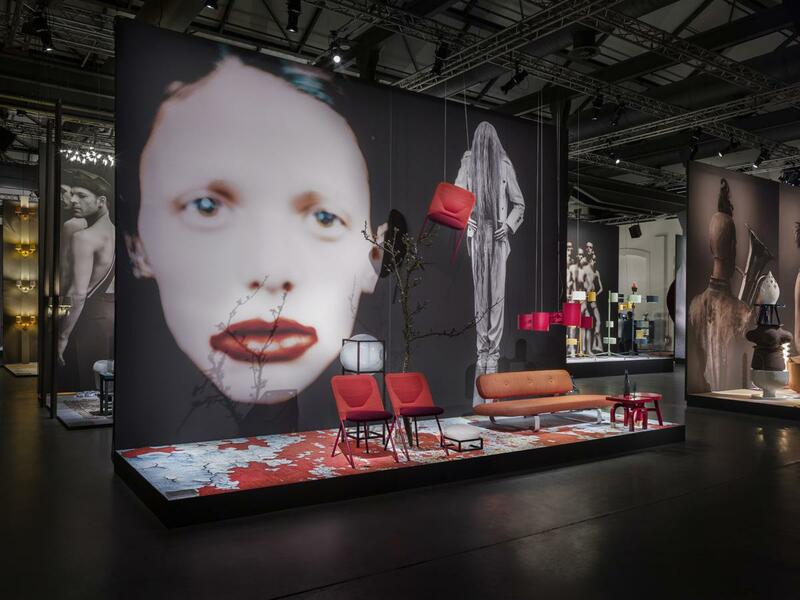 The 360-degree interactive image allows digital visitors to explore the Milan show. It does not work on mobile devices. Unexpected Welcome is open at Via Savona 56 until 19 April. 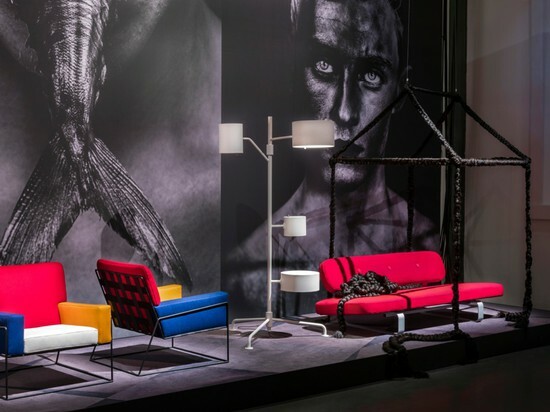 Throughout the year Dezeen will be working with Moooi in Milan, New York, London and Amsterdam, getting under the skin of the brand, its products and designers as part of our Extra Moooi collaboration. There'll be movies, interactive slideshows, competitions and more. 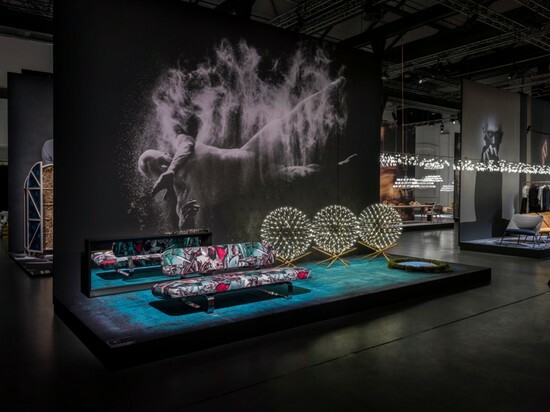 All the content will be posted at www.dezeen.com/moooi.